Flood Insurance Law Updated To Assist Homeowners! An update to the Flood Insurance Law was recently signed into law. What does it mean for you? On March 21, 2014, the Homeowner Flood Insurance Accountability Act was signed into law in order to address some issues Congress felt existed in the current Flood Insurance Program. This law was essentially meant to reduce the burden Flood Insurance poses to those living in flood zones, while putting in place a gradual phase-out of taxpayer subsidies, and has some great measures that you should know about! • Premium increases are now capped at 18% annually. • If you have purchased and maintained Flood Insurance on your home and an updated Flood Map is released placing your property in a higher risk zone, you are now grandfathered into your prior zone. Effectively preventing large increases as a result of updated flood maps. • Homes that sell can now transfer their Flood Insurance to the buyer, allowing the buyer to maintain the cheaper rate as opposed to getting Flood Insurance on their own at the current rate. This represents a significant savings for home buyers, and should also assist home sellers in attracting interest in their property. • Home buyers that purchased a home after July 2012 are able to get a refund for the additional premium paid, as they were not afforded the opportunity to assume the Flood Insurance held by the prior owner at the cheaper rate. • This law saw the creation of a Flood Insurance Advocate for homeowners to challenge what they deem to be faulty rates or maps. Funding was also allocated for refunds on the basis of these appeals. • Whereas previously, FEMA required elevating the property in some cases to address flooding issues, under the new law, other methods of flood-proofing are acceptable if deemed affective. • FEMA will now be required to complete a feasibility study within the next 2 years that may further impact costs and coverage. While not publicized enough, these changes should be incredibly beneficial to homeowners in flood zones, and should result in a decrease in premium cost! While FEMA is still working to implement this law, it is expected that homeowners will automatically see the reduced rate at the time of their next renewal. Some measures of this law, such as transfer of the current Flood Insurance rate, disputing existing rates or flood maps, and refunds for overpayment will need to be addressed proactively by the homeowner. 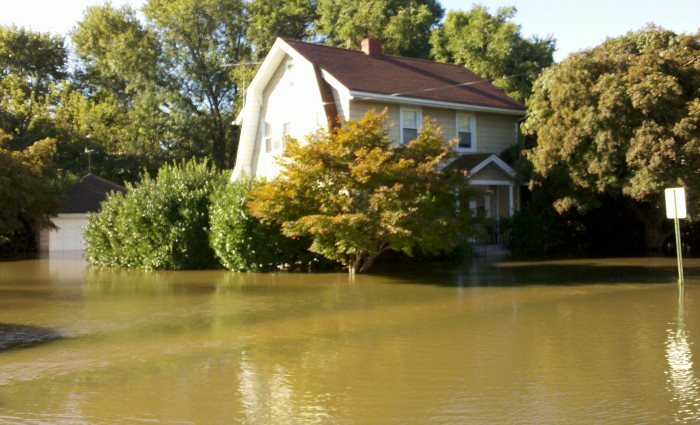 These changes do a good deal to assist homeowners and prospective homeowners in securing necessary Flood Insurance in order to protect them should disaster occur, and allows for proper Mitigation and Restoration by qualified companies. Should you suffer a Flood damage at your home, it is important to understand the need for Fast Response and proper Mitigation, in order to prevent Further Damage. We at Disaster Blaster are experts in working with FEMA to return your home to pre-flood conditions. We hope this information was useful to you. Should you ever have a need for one of our services, please Contact Our Offices! *As State and Federal Laws are constantly evolving and changing, this information may have changed. Should you find that this is the case, please Let Us Know, so that we may update the information.